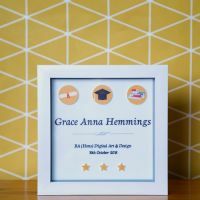 This Graduation Box Frame is the Ideal Keepsake Gift to serve as a reminder of a very special achievement in the recipients life. 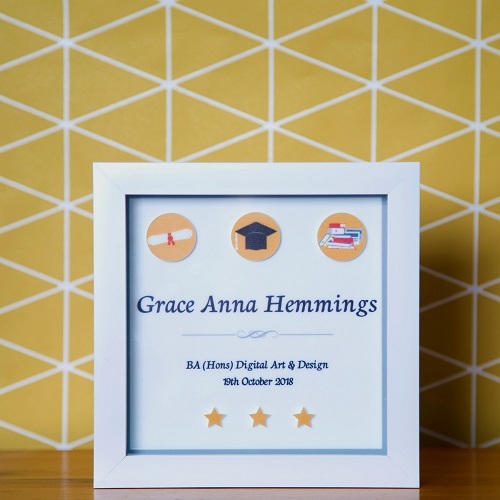 The Graduate's full name, Degree and date of occasion are present on the design but rather than printed on paper, your gift uses the latest UV print technology to print directly onto white perspex giving a vibrant finish on a shiny background. 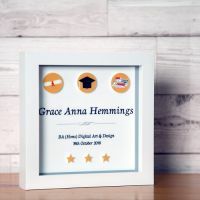 The design also features 3D features by UV printing popular Graduation items such as study books, Mortar Board and Scroll as well as three coloured stars to emphasise the achievement. 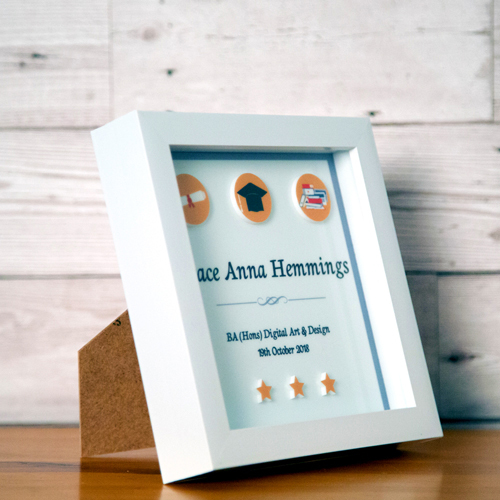 All the symbols are printed onto perspex and then laser cut and placed on the frame as 3D images. 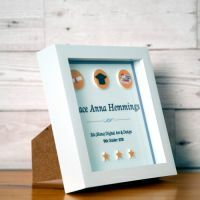 This timeless Graduation Keepsake is very much a hand made product but benefits from the quality provided by the latest in UV print and laser cutting technology. 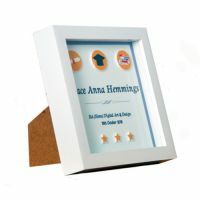 The gift has a substantial weight (approx 520grams) and is presented in a bespoke branded presentation box. 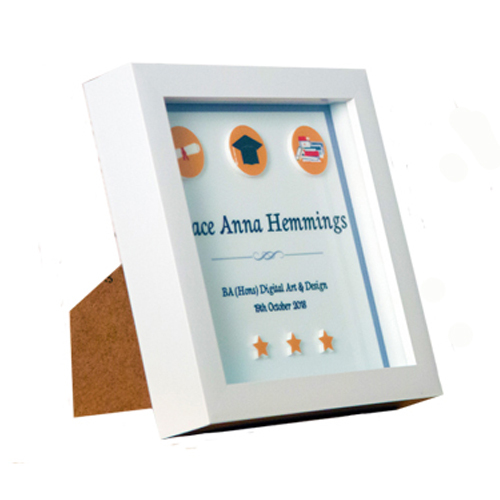 The box frame is acrylic with a glass panel and measures approx 17.5cm x 17.5cm a 3.5cm. 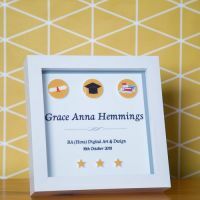 It can be wall mounted or free standing on a shelf or mantle piece.